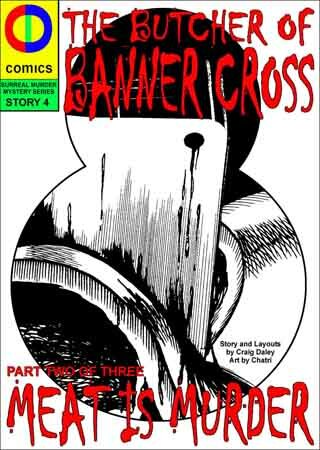 This is something different again from CDComics, after publishing three Surreal Murder Mysteries (Meadowhell, Spring Heeled Jack and Football Crazy), the hard boiled nourish detective narrative of Manhattan 1930, War Nurse, a homage to Golden Age Comics and an alien abduction story from the 1960’s in Carnacki & Hannay. 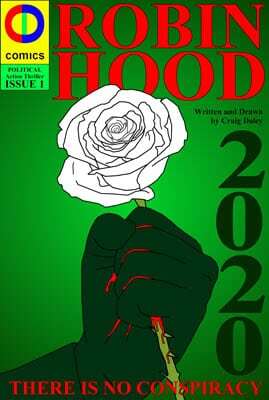 This time, CDComics have moved into political action thriller territory with their modernisation of the classic Robin Hood legend. How would Robin Hood and his band of Merry Men respond to the current political and economic climate in the UK? How will they react when placed just seven years into future and the dystopian nightmare of 2020? The first issue includes the usual humour expected from CDComics, but this time against the backdrop of a society that is divided across old class boundaries. On one side the plebs and on the other those who were born into privilege, the ruling elite class. Along with a revamped Robin Hood, the comic has many of the characters you would expect to see, Little John, Marion, Tuck, Much and Scarlet who has been through the most blatant transformation and is now a female. Along with the characters, even Sherwood Forest gets a surprising make over as the action moves from the traditional forest locations to the cities of London and Sheffield in 2020. There isn’t a bow and arrow in sight, but the politics is close enough to the truth that the comic keeps the appearance of reality that flows through CDComics’ output. The comic says ‘THERE IS NO CONSPIRACY’ and unlike political thrillers, such as the X-Files, it doesn’t create one, the narrative uses current and historical events, facts and figures and just takes the reader seven years into the future. The action is full on and takes centre stage throughout this 32 page first issue that introduces all the main characters and the comic also asks enough questions to make you want to read Issue Two. Sheffield Space Centre on the Wicker, Broomhill’s Galaxy 4 and Record Collector, Rare and Racy on Devonshire Green and Blackwells on Carver Street. 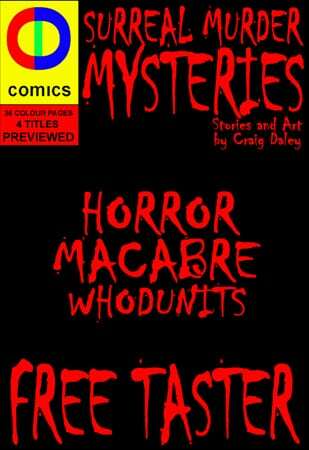 Grab Your Free 36-Page Surreal Murder Mysteries Taster Comic Courtesy of CDComics!